Is It OK to go With Gut Instinct When Hiring? It’s also worth pointing out that studies shows that intuition and instincts are hugely flawed and are subject to unconscious bias not related to the hiring decision. So, it seems like a closed book doesn’t it? It is not OK to go with gut instinct in a hiring decision, is it? For example, it’s not possible to make every part of the hiring process objective as there are many skills, qualities and traits that can’t be that easily measured, such as, Will they actually sell well for you? or How quickly will they build relationships? At some point, the people making these hiring decisions will actually have to make a judgment call based partially on objective figures and partially on gut instinct. It’s a reality of the assessment and selection process. But, if you are going to use gut instinct when hiring, at least try and limit it to areas that cannot be objectively measured. And when you are making the final judgment based on a combination of objective data and gut instinct, make this decision in the most effective way possible by tapping into the full processing power of the unconscious mind. Yes, you heard it right first time, the unconscious mind. 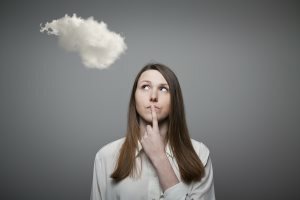 It seems that a Joint research study from the Kellogg School of Management and Nijmegen University has shown that the unconscious mind may be better at problem solving and processing huge amounts of data and at prioritizing the important over the trivial so it can more quickly put things into perspective. This means gut instinct has a genuine part to play in hiring decisions. The researchers found that one of the best ways to tap into the conscious mind is to take a break from the problem and focus on something else that leaves the unconscious mind to work on the problem. They claimed that the unconscious mind is most active when we are asleep. This suggests to me that you should avoid making snap hiring decisions as this draws on the weakest and most fallible aspects of your instinctual judgment. Rather, ensure to take at least a night to sleep on a decision, so your unconscious mind’s problem solving powerhouse can get to work on your complex hiring decision. Does this sound a little kooky? Well, Harvard Business Review has put its weight behind this too, having observed that executives routinely rely on their intuitions to solve complex problems, because more logical objectives methods won’t do. This intuition led decision making becomes more common the higher up the corporate ladder you go. They cited other techniques that executives (CEOs of top companies) used to tap into their unconscious, right brain influenced decision making process and this was jogging, daydreaming, listening to music and other meditative techniques. So, perhaps if you can’t put the hiring decision off until tomorrow, at least put it off until after lunch so you can have a lunchtime, meditative run to properly mull it over. So, in conclusion, it’s not only OK to rely on the gut when making hiring decisions, it is a reality and it becomes more of a reality as you hire more senior people or you become more senior. But, hiring on gut is not about ignoring the objective data; you should still measure what’s measurable as a gut based decision is only as good as the decision data that has been fed in through the conscious mind. It’s actually about recognizing the complexity of the decision data and using both your conscious and unconscious mind in tandem to arrive at a better hiring decision.